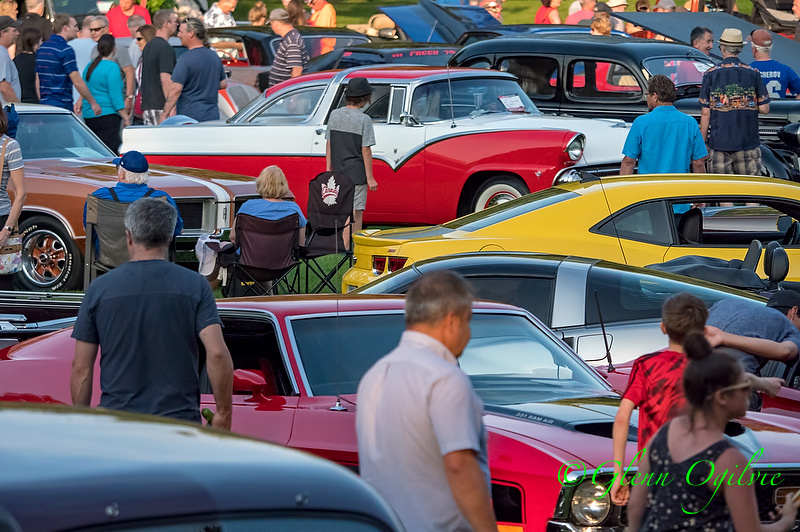 Looking out over 700 cars and thousands of spectators at Canatara Park brought a tear to the eye of Sarnia Street Machines president Jo-Ann Thorne. Hot August Nights, the club’s annual concert, dance and show car cruise, has been plagued by rain the past several years. So when the weather gods finally gave a thumbs-up to the Aug. 2 event it came as a big relief. “This is the best ever that I recall,” Thorne said, surveying the huge crowd in the park’s central field. 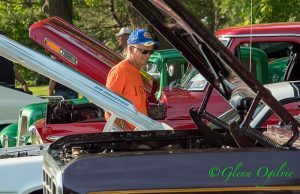 The 13th annual show attracted everything from 1920s hot rods to muscle cars and classics in all shapes and colours. Admission was a donation to Pathways Health Centre. Since 2005, the 70-member club has raised more than $230,000 for the children’s facility and its services. In fact, this fall Sarnia Street Machines will be inducted into the Canadian Street Rodding Hall of Fame, in part for its sizeable community work. What’s the hold-up dad? 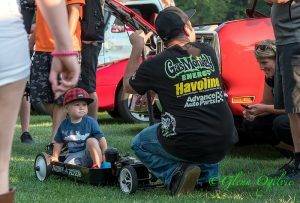 Two-year-old Hudson Thomas Young sits in a custom “T Bucket” made by dad Mike Young of Sarnia, who was showing off his Nissan 240.